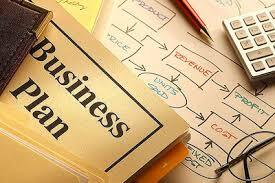 At some stage in the life of every business, there will be a need to prepare a Business Plan. You may want to set up a new business, or want to expand your current business, acquire another business or just want to formalise what you want for your company. All of these may involve looking for external funding from investors, venture capitalists (VCs) or banks. A Business Plan is essentially a list of goals that the company wants to achieve. Every company should have a written plan of their goals, however small the business may be, so that not only the owner but all the people working in the company know where the company is heading so that everyone is working towards a common objective. Many businesses do not have Business Plans and the adage ‘if you fail to plan, you are planning to fail’ will be true of many businesses. Knowing what you want is the key to producing an effective Business Plan. It is also important that you have your audience in mind when preparing a Business Plan. – Keep it short and simple – VCs and banks get hundreds of plans and don’t have time to read long plans. – Avoid ‘flowery’ language and state the facts, the problem and your solution. – Focus on a single product or service as this is more attractive to investors. – Research the market place, its size and the competition thoroughly as investors certainly will before they invest in your business. – Describe why and how your solution will work and explain your sales, marketing and distribution strategy – if you have potential customers signed up even better. – Ensure your financial projections are realistic, achievable and robust. – Make sure that the management and staff have participated in drawing up the plan and that they are confident in delivering it. – Finally, be flexible as plans will have to change with events and keep monitoring and changing your Plan over time. This is the most important part of the plan and should be done last. It should be concise and highlight the product, the market opportunity, management, key financial projections and must convey the key points. The amount of funding you’re looking for should be stated. It is usual for investors to read only the Executive Summary before they decide whether to investigate further. This should give the background and history if any of the business and the problem you are trying to solve with your product or service. Describe your product or service and how it would resolve your potential customers’ requirements and the unique selling points it has. Don’t get technical and avoid abbreviations that lay people will not understand. The market opportunity for you product or service is crucial. Give the potential market size and your sales and marketing strategy. Analyse the competition and how you plan to stay ahead of them. Ensure that you have got the financials such as revenue and profits for your major competitors. State your objectives and goals clearly and your strategies to achieve them. Also set out your financial goals, whether you aim to gain market share or achieve certain profits. Make sure your financial projections include profits, cash flows and balance sheets projected for at least 3 years, some investors will require 5 years. Give the last 3 years history. These figures must be achievable and avoid being over optimistic as any investor would discount your figures downwards anyway. It would be reasonable to give a couple of different scenarios based on your pessimistic and optimistic views and how that would affect projected cash flows. State your assumptions. Only the summaries should be included in the body of the Plan and the detail can be in appendices. Give brief histories of the management team and how that fits in with what the plan is trying to achieve. For investors, the team behind the Business Plan is as important a factor as the market opportunity. They will be investing in the team and will want to be assured that the team are capable of delivering the Plan. This is important as some time spent on these will show up the threats and opportunities and where you will have to concentrate on achieving your goals. – Keep it simple and short. – Spend time on agreeing the goals so you know what you want. – Research the market place, the opportunity and competition thoroughly. – Focus on a single product or service – keep to your core skills. – Make sure that the financial projections are realistic: get your accountant to prepare them. – Once written get others to review the Plan especially your accountant before you present it to anyone. You may think your idea is brilliant but you should test your theory on others. – Monitor your progress regularly and be flexible enough to change it for events. – Once you know what you want, be practical on how much time you spend on preparing a Business Plan – you do want to spend more time in making it happen! I am extremely inspired along with your writing abilities and also with the layout in your blog. Is that this a paid topic or did you customize it your self? Either way keep up the nice high quality writing, it is rare to peer a nice blog like this one these days..